The Tunisia National Football Team is the national team of Tunisia and its nickname is The Carthage Eagles. The team is associated with Tunisian Football Feeration. Ths team is in group G in FIFA World Cup. Stade Chedly Zouiten was the Tunisian National Stadium with a capacity of 18,000.The Tunisia National Football Team have been qualified for 4 FIFA World Cups. Aymen Mathlouthi is the team captain. Tunisia had won the African Cup of Nations in 2004. The team played its first match on March 11, 1928. The Tunisian Football Feeration came into existence in 1960.The team played their first match after their Independence on 1957 against Algeria. 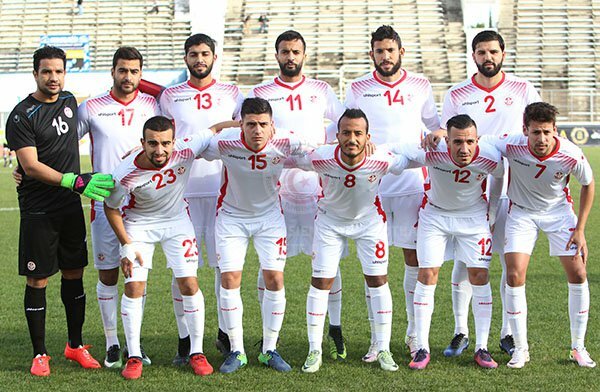 Tunisia made the semi-finals at the Cup of Nations but lost in the semi-finals against Ghana. I hope you find the Tunisia FIFA 2018 Team on our site. You can find more FIFA 2018 Teams squad on our site, by searching on our site. If you like the post then don’t forget to share it with your friends.